Entitlement Men’s Black T-Shirt | BUDK.com - Knives & Swords At The Lowest Prices! There will be absolutely no question what you believe and feel when you wear this awesome shirt! 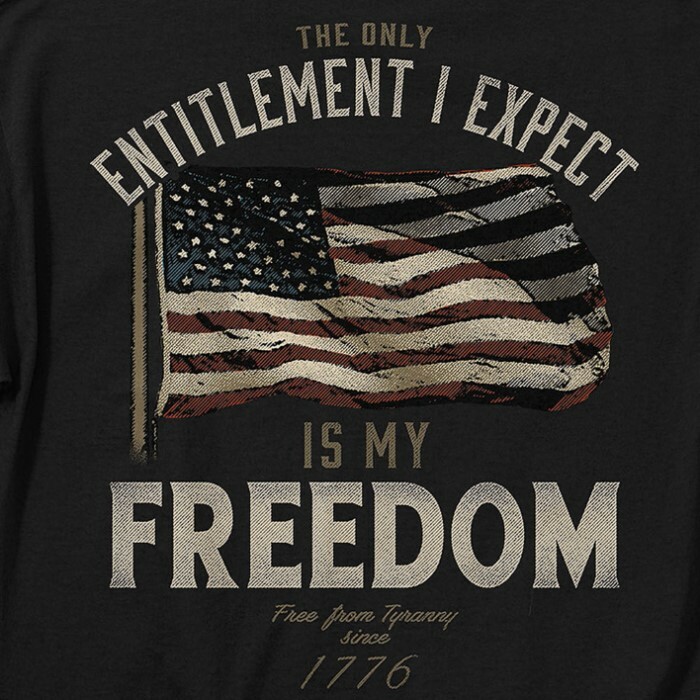 The message "The Only Entitlement I Expect is My Freedom; Free from Tyranny Since 1776" is printed boldly around a waving American Flag, which is the centerpiece of the design. 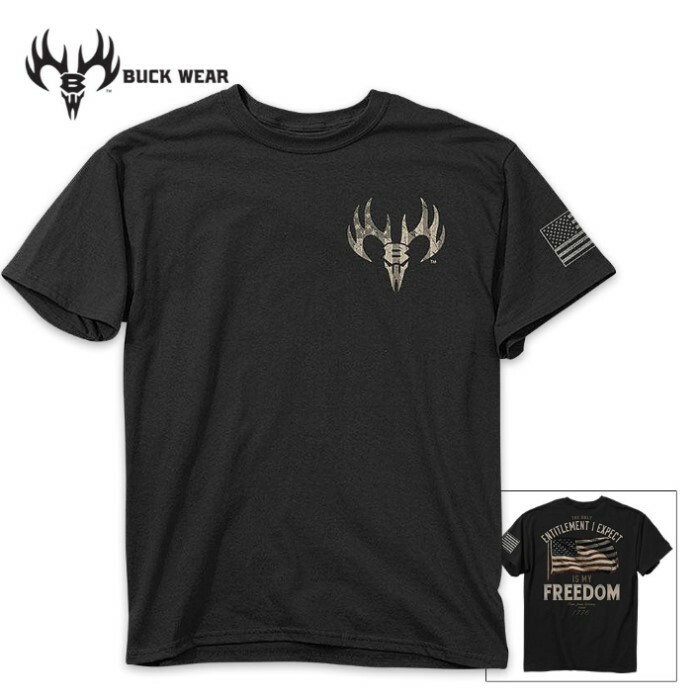 The classic fit black shirt also features an American Flag print on the left sleeve. The tee is made of 100% combed ringspun cotton jersey, which has been preshrunk to minimize shrinkage. It has a set-in rib collar with shoulder-to-shoulder taping and double-needle sleeve and bottom hems. The high quality screen printed artwork will withstand hundreds of washes. Just got mine today and i love it.great quality shirt.nicely done. nice shirt fits and looks good.I wore it to the gym and it felt like everyone was staring at me. 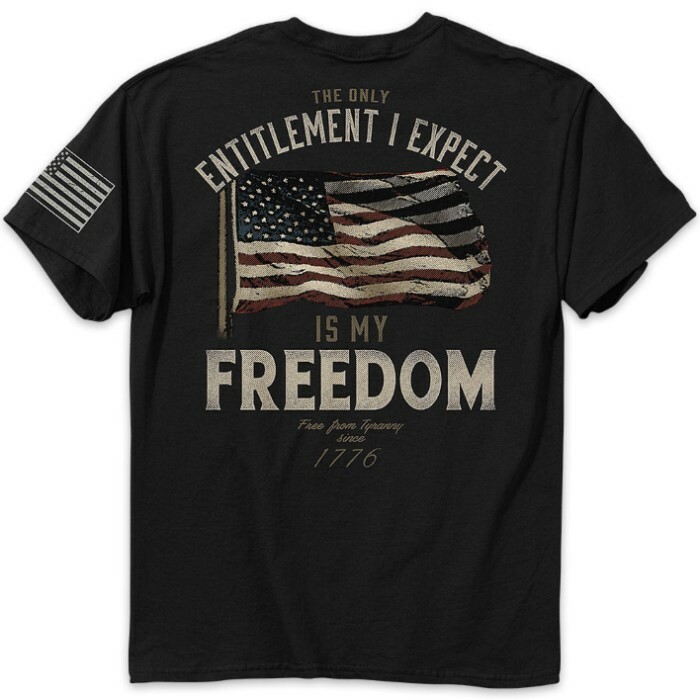 This is a good quality statement t-shirt. I highly recommend it.